From the hustle and bustle of your 9-5, to a sleepy weekend morning, Bear Market promises a revitalising break from the everyday. A cup of coffee will give you a caffeine perk, but a great coffee experience will leave you feeling reborn. That’s why we have created a community of coffee lovers, not coffee snobs, who believe that where you enjoy your coffee is just as important as what’s in the cup. Whether you’re grabbing a quick one on the way to work, relaxing with friends (or just a good book), or you’re interested to learn more about the art and science behind coffee, we want everyone who walks through the door to feel inspired, revitalised, and above all welcome. Our passion for quality runs through everything we do. 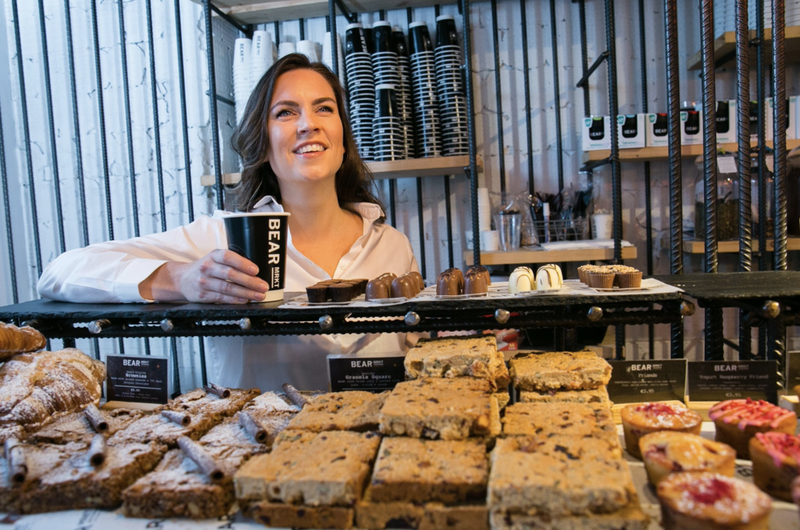 From our specially chosen coffees, teas, hot chocolate, and pastries, through to our determination to create a space that people will really enjoy. Every inch of each of each Bear Market cafe was lovingly designed and crafted; from the burnt timber tables, hand-build furniture, warming copper accents, and artwork lovingly given by our friends and family. We wanted to create an atmosphere that was contemporary and relaxing. So, pop in for a visit. We love to chat, and we really love to chat about coffee. We graduated from our Architecture course in 2009 and spent a brief period in the industry before we realised that we’d need to emigrate to continue in it. But having such close family ties here we instead decided channel our passion for architecture into Bear Market. Even the name refers to the bear market which stalled our architecture careers but thankfully steered us towards our dream of creating a place that people really love. We saw this as our hibernation, after all, Hibernation is about more than sleep. It’s about conserving, and surviving. When a bear wakes from the winter they are renewed, and that’s when the hard work begins.